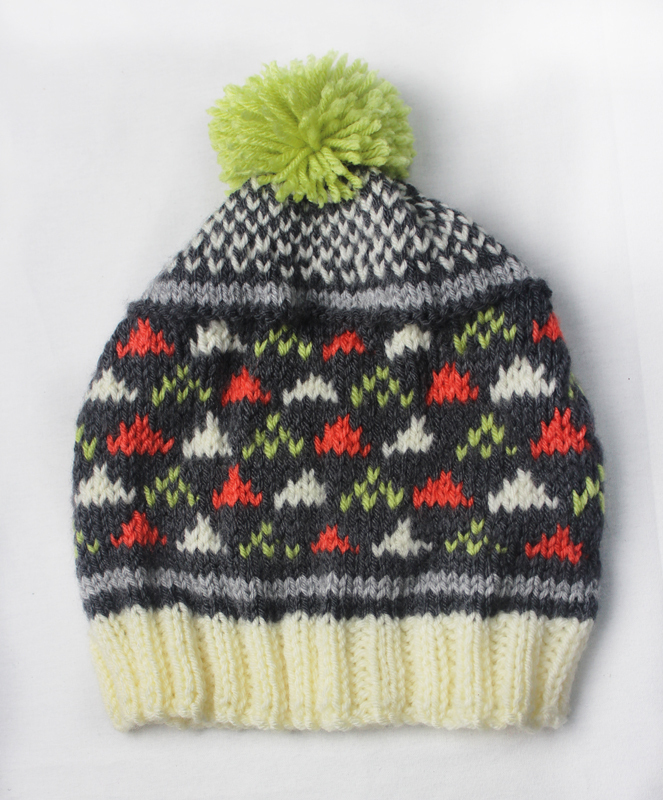 I’ve been gone for a while but I come bearing gifts – a free hat pattern! So, they are having a charity drive at the Lion Brand Yarn Studio to collect donations for Hats 4 the Homeless. I was inspired to donate but of course with me being me I couldn’t just use any pattern, I had to design my own. I made this hat using Vanna’s Choice and Vanna’s Choice Baby yarn. Work in a 2 x 2 rib using the white yarn for 11 rows to make the band. Work 2 rows of stockintte with the light grey. Work 2 rows of stockintte with the dark grey. 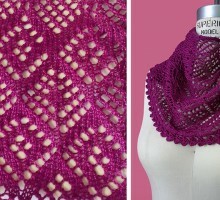 Repeat the Triangle Pattern stitch twice. 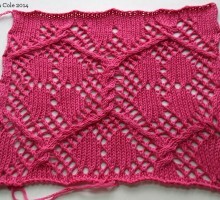 Repeat the first four rows of the Triangle Pattern stitch. Purl one row in dark grey. Work 2 rows of stockinette stitch in light grey. Work one row in dark grey. *K1 in white, K1 in dark grey* repeat across. *P1 in white, P1 in dark grey* repeat across. Gather the hat at the top and sew it shut. Finish with a lime green pompom.